On average, people spend roughly 50 minutes every day on Facebook. Over the course of a year, that's 12 and a half days spent with your nose in your News Feed. What's even crazier is that despite your familiarity with the ubiquitous social network, you're likely not taking full advantage of all its mobile app has to offer. Here are some lesser-known functions and settings worth checking out, including the slew of brand-new and expanded features that will slowly be rolling out over the next few weeks. Whether you'd prefer fewer distractions or just don’t want to eat up all your data perusing your News Feed, you can tweak your settings accordingly to change if and when videos will start playing as you scroll. Go to Settings > Videos and Photos > Autoplay and select either "Never Autoplay videos" or "On Wi-Fi Connections Only." Need a massage or a haircut? 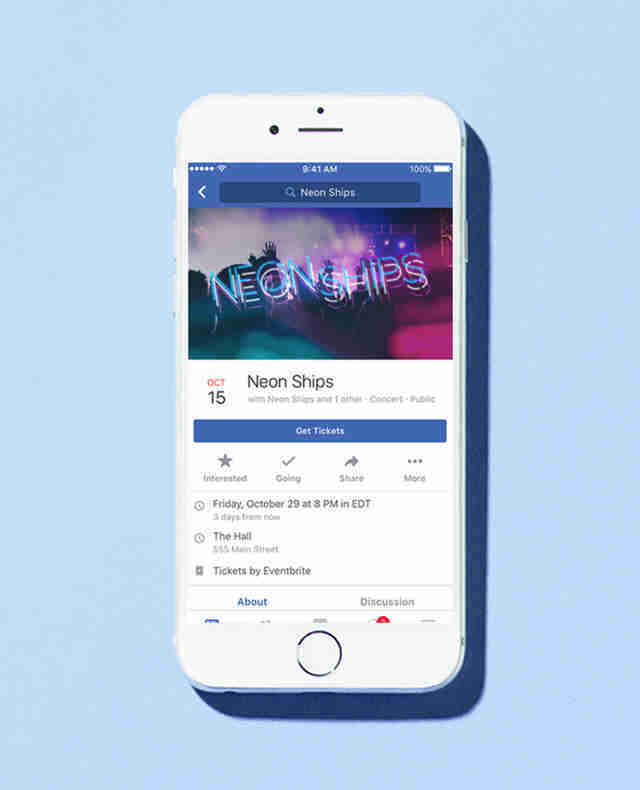 One of Facebook's new features lets you book appointments directly from a business' Facebook page. Once you've requested a date and time, the business will confirm via the Messenger app, where you can also ask to reschedule if need be. Same goes for businesses who specialize in bigger projects (like a plumber or contractor) -- they'll have the option to add a "Get Quote" button to their pages, enabling potential customers to request a quote with just a click. On business in a city you don't know well, or want to know where to eat and drink on vacation? You could, ahem, check Thrillist Maps for the coolest bars and restaurants near your location, or crowdsource recommendations from your Facebook friends. When you post a status asking for advice on where to go, turn on the "Recommendations" feature and it'll automatically save all the places people suggest in the comments, and map them in one centralized location. 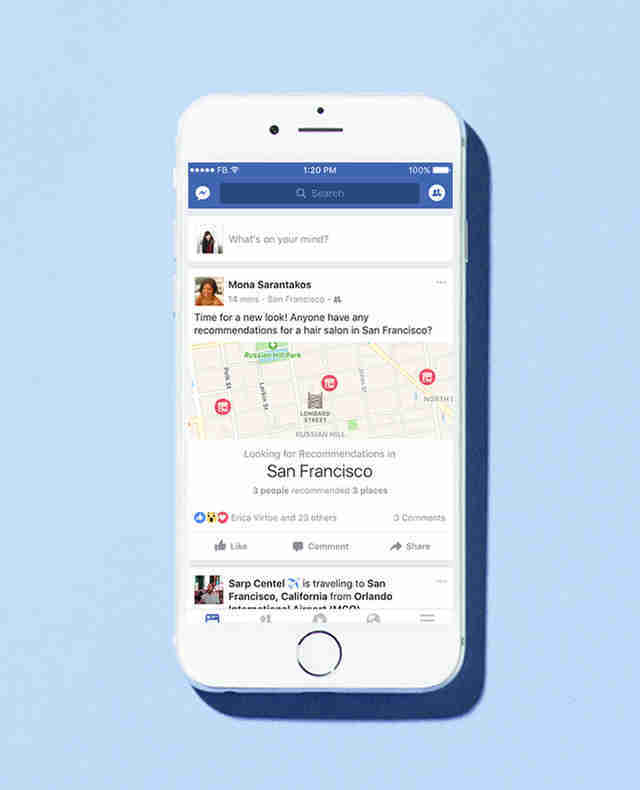 If you hadn't noticed, Facebook is really, really into keeping you informed of your friends' plans. And those random event notifications can grow tiresome quickly. Thankfully, as part of the latest feature rollout, it's consolidated all of your local event intel into a slick dashboard where you can easily explore invitations to upcoming events your friends are going to, and get recommendations for things you might actually want to attend. As if there weren't enough ways to embrace your laziness and order in, you can also place food orders from your favorite restaurants directly from their Facebook pages, as long as they're using Delivery.com or Slice. 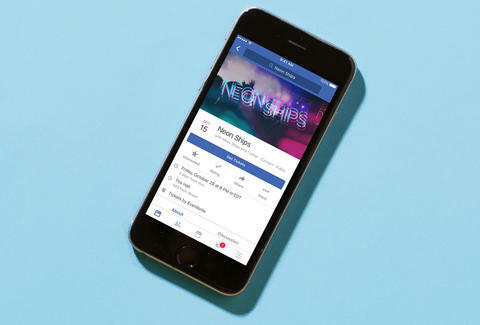 Thanks to partnerships with Fandango, Ticketmaster, and Eventbrite, you'll now be able to buy tickets to new movies, concerts, and other events (both free and paid) directly on their Facebook pages. Rather than actively monitor your daily list of friends' birthdays, you can easily just export them to your Outlook, Google, or Apple calendar. To do it, click on your events page, scroll down below Events Happening This Week, and click Birthdays. Guess what? Facebook keeps a log of every location you've ever logged into your account from. That means every library computer, friend's phone, and random Apple Store you've ever poked people from is recorded. If you suspect someone's been logging into your account surreptitiously, or just want to see all the places you've signed on from, go to Account Settings > Security > Active Sessions. Don't freak out if you see a bunch of unfamiliar logins -- when you're using the mobile app it's pinging off nearby cell towers, some of which may actually be quite far from where you were standing. Spot a story in your feed you'd love to read but don't have the time to? Click the post's drop-down menu and select "Save link." This will add it to a queue you can revisit later when you have time to catch up on things. 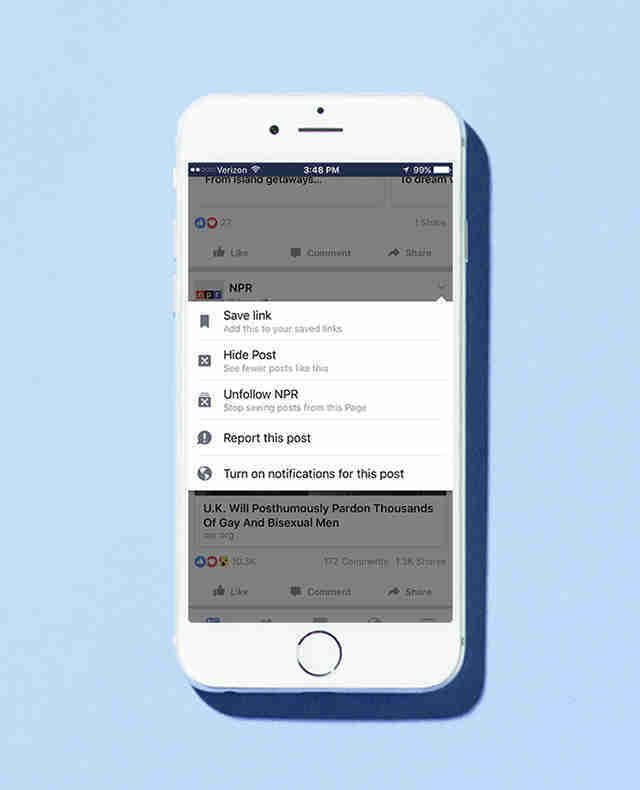 It's basically another version of Pocket, one of our favorite browser extensions, baked right into Facebook. It may be morbid, but we've all wondered what will happen to our Facebook page if we croak. If you'd prefer not to leave it to chance, you can easily appoint a "Legacy Contact" who'll manage your page when you're gone. Their powers are limited to running your "memorial" page, pinning posts to your profile, and responding to friend requests. And even if they wanted to, they couldn't dig up any dirt on you post-mortem, since it doesn't grant access to either your messaging or poke history. Feel like you're being inundated with ads that aren't at all relevant to you? You can tweak your preferences to customize the types of ads that pop up in your feed. Head to Account Settings > Ads Settings and tap "Manage the preferences we use to show you ads." Here you'll be able to see what Facebook thinks you like, and remove or add individual interests. In addition, in the Ads Settings page you can go in and control how Facebook uses your name to advertise products or services you've liked to other friends in your network. Joe McGauley is a senior writer for Thrillist and can still remember when Facebook didn't even have a News Feed.